MOTIVATED SELLER!!! 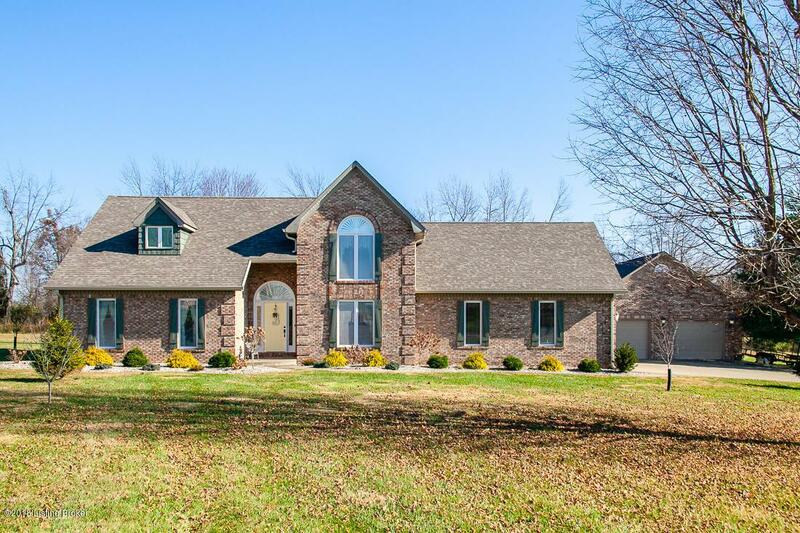 ''TURN KEY, IMMACULATE BRICK HOME on a flat & level 2.5 PRIVATE ACRES at the end of a CUL-DE-SAC in the PRESTIGIOUS Briarwood area- FANTASTIC LOCATION in ELIZABETHTOWN CITY (with easy access to 65 North to Louisville)! 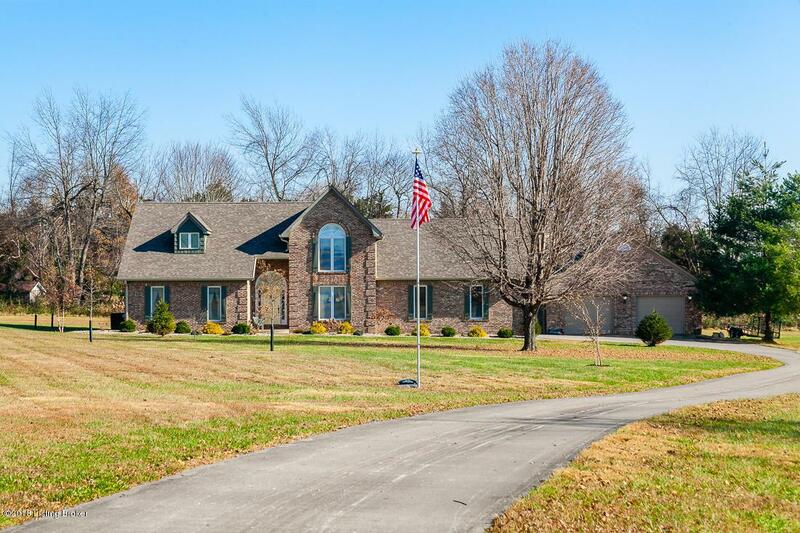 Make your way down the LONG PAVED DRIVEWAY to find this home that will check all the boxes! Mechanic's dream: Total 4+ car garage (2-car attached, PLUS AN ADDITIONAL 2 1/2-car Huge DETACHED GARAGE/WORKSHOP with high ceiling and IT'S OWN A/C, FURNACE, ELECTRIC! ENTER THRU A DRAMATIC TWO STORY FOYER (with overlook from the 2nd floor), to view a Fabulous FIRST FLOOR MASTER SUITE featuring a BEAUTIFUL SOARING CEILING, GORGEOUS new WOOD FLOORS, CUSTOM TILE, and GRANITE,then make your way down the hall thru the eat-in-kitchen: COMPLETELY UPDATED with NEW GRANITE COUNTERTOPS, BEAUTIFUL BACKSPLASH, EASY CLOSE CABINETS, and GORGEOUS BLACK STAINLESS APPLIANCES. You'll love the NEW WOOD FLOORING THROUGHOUT the home: in the great room, master suite, upstairs, and basement! 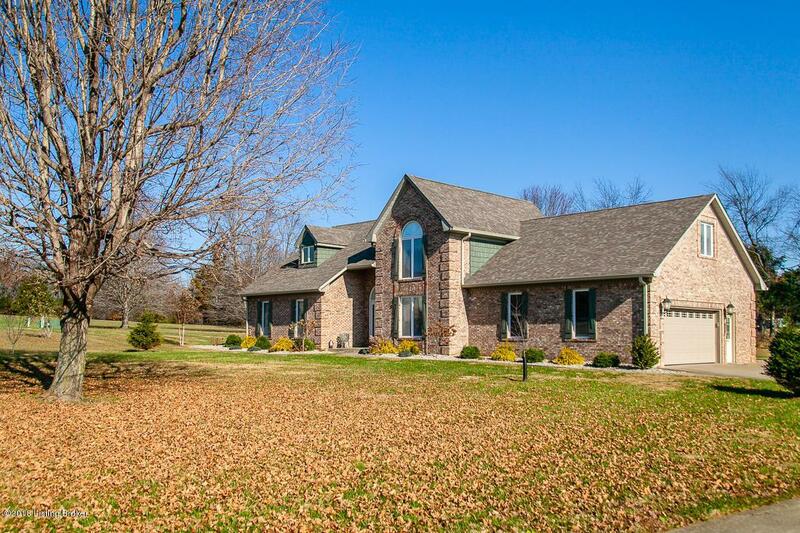 You'll find plenty of cozy living spaces with The GREAT ROOM and the FAMILY ROOM both having fireplaces (which have been converted from propane to electric for convenience). The formal dining room is right off the kitchen and has trey ceiling, crown molding, and wood floors. Full FINISHED BASEMENT with room for a THEATRE ROOM, REC. ROOM, OFFICE, STORAGE, additional BEDROOM, or CRAFT ROOM, and now complete with a 5th BATHROOM. Convenient FIRST FLOOR LAUNDRY with a second (main floor) half bath walks out to a newly stained LARGE DECK overlooking a private backyard that would be ideal for a pool area! Other MAJOR UPGRADES include: NEW ROOF, FURNACE, 19 SEER AC, 6" GUTTERS, recently JUST FINISHED THE OTHER HALF OF THE BASEMENT and INSTALLED A NEW BATH, paint, hardware, garage door, openers, just TOO MANY UPGRADES TO MENTION (see List of improvements in documents) This home has been METICULOUSLY CLEANED & MAINTAINED and is a FANTASTIC FIND! 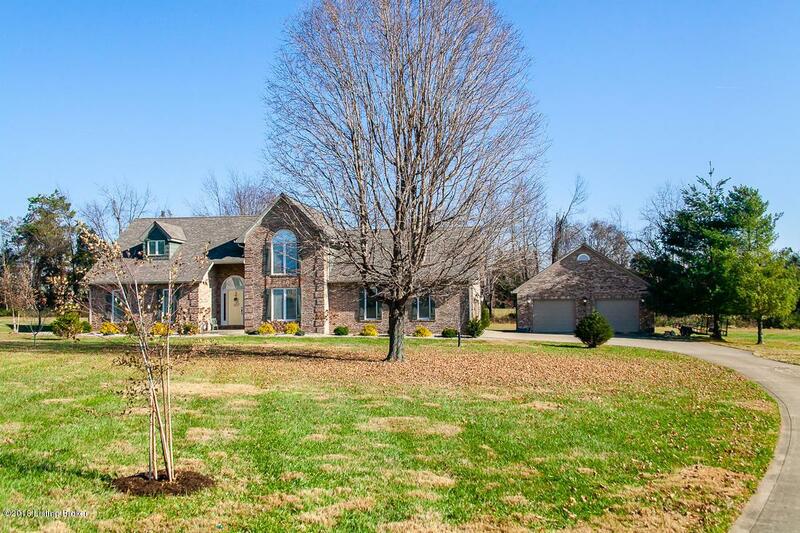 BEING OFFERED AT $519,000 HAS 4700+ TOTAL FINISHED SQ FT. 4 BEDROOMS, 5 BATHROOMS. Too many extras to mention here! " Eat In Kitchen Remarks Gorgeous Black Stainless Appliances! Great Room Remarks New Wood Floors Throughout!